Soups have a soulful, comforting effect even on a healthy person, so you can imagine how soothing they will be for somebody who is in dire need of nutrition and energy! Soups are important in a typhoid diet because water is depleted from the body due to diarrhoea, and there is a constant need to regain that fluid balance. Soups not only help replenish the lost fluids, but also help in increasing the appetite. Soups are quite nutritious as they comprise different varieties of vegetables like tomatoes, carrots, beetroots etc. Try Beetroot and Carrot Soup. Avoid gas-forming veggies like broccoli, cabbage and cauliflower. Cream and milk are also best avoided, especially when one has diarrhoea. To enhance the protein content, some quantity of dal can be added to soups. Try recipes like the Hearty Red Lentil Soup. 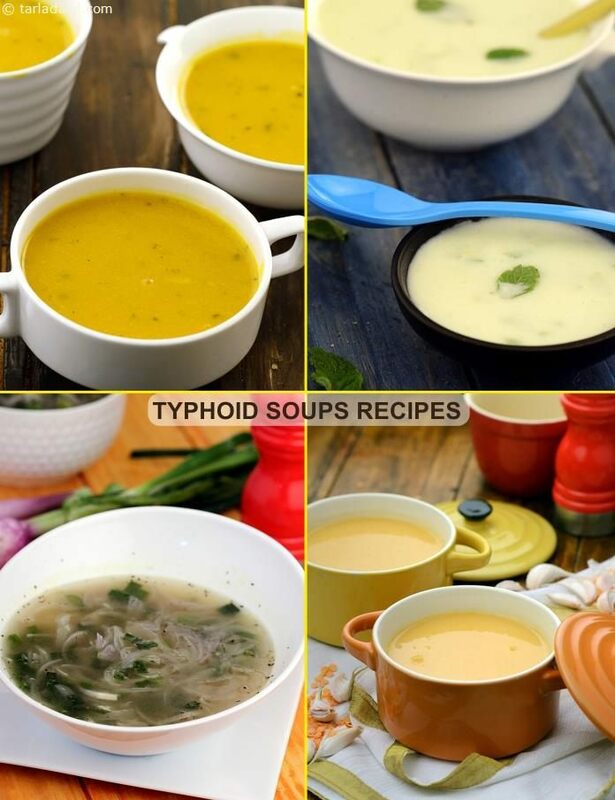 Enjoy our healthy typhoid recipes, Indian typhoid diet and other typhoid articles below.